We offer a diverse range of therapy supplies, like nebulisers, and wellness products, like hot stones and infrared lamps, for medical and physiotherapeutic procedures. Explore our selection and order your therapy and wellness supplies for great prices. 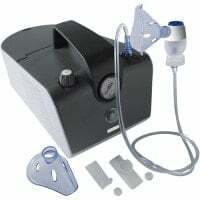 We offer a wide selection of inhalators for nebulising medicines. For children, we also supply paediatric nebulisers and appropriate accessories. Whether you need exercise balls, exercise mats or therapy tools, you will find a large selection of equipment for rehab clinics and physiotherapists. 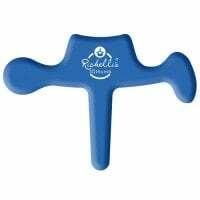 In the Therapy Tools category, you will find a large selection of tools for manual therapy, such as the Richelli's Pain Reliever. 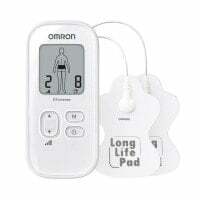 Here, you will find TENS machines for electronic nerve stimulation and treatment of various pains and symptoms, as well as body fat calipers. Discover our wide selection of products for heat therapy: from hot stones to infrared lamps and paraffin baths. We supply a wide spectrum of therapy supplies: nebulisers for medical disciplines and diverse therapeutic aids and devices for compression, heat and electrotherapy for physiotherapeutic purposes. Therapy supplies most commonly come into use in rehabilitational medicine and support the rejuvenation of a physiological movement following trauma, for example. Furthermore, chronic diseases in progress can be contained. You can purchase wellness and therapy supplies for low prices from us. 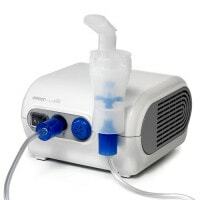 Nebulisers are used in respiratory therapy for creating aerosols. They treat chronic diseases like COPD in a patient-friendly way, as the medication is sent directly to the area where it should take effect without first needing to metabolise, as it would with oral or intravenous administration. This also helps reduce unwanted side effects. For rehab and physiotherapy, we offer a diverse assortment of therapeutic aids for physical therapy. Exercise balls, massage balls, resistance bands and training mats are all available in our online shop for extremely low prices! 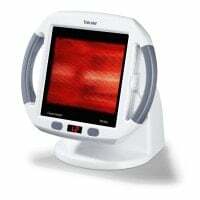 In addition to our TENS machines for treating chronic pain, you will also find body fat monitors like the fat caliper. Our products are characterised by simple operation. For heat therapy in medical disciplines, we have assorted a variety of infrared lamps, hot stone sets and heat compresses. A paraffin wax bath for treating extremities completes our assortment. All of these diverse therapy supplies can be purchased from us for particularly low prices. Additionally, we offer medical supplies like therapeutic tables and massage tables, high-quality medical furniture, patient positioning aids for treatment tables, moor packs and massage oils. Do you have questions about our products for therapy and wellness? We are available to help per telephone, email or chat.